Posted on April 8, 2011	by A.R. 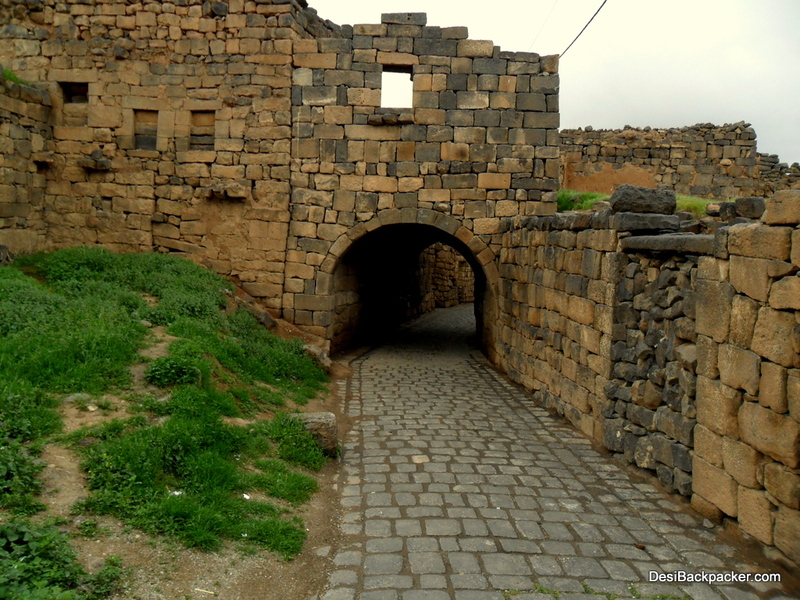 This day I was definitely going to Bosra, which is an easy day trip from Damascus. But I had to finish writing the first blog post so I entered a café and didn’t budge till it was done. 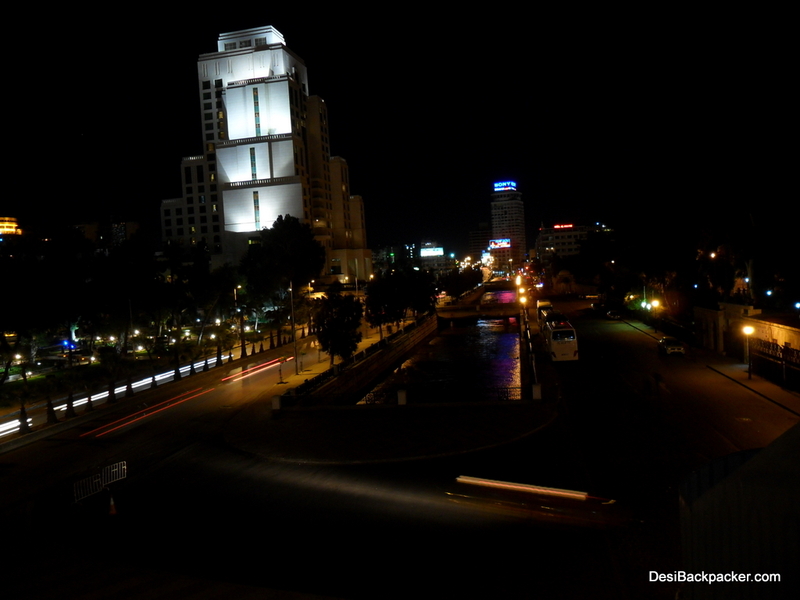 Then I walked out of Bab Sharqi and took a microbus to Al Samariyeh bus station. From there it was a very comfortable 2-hour bus ride to Bosra, where you are dropped right in the heart of the old city, in front of the Citadel/amphitheater. Now a word about the amphitheater. 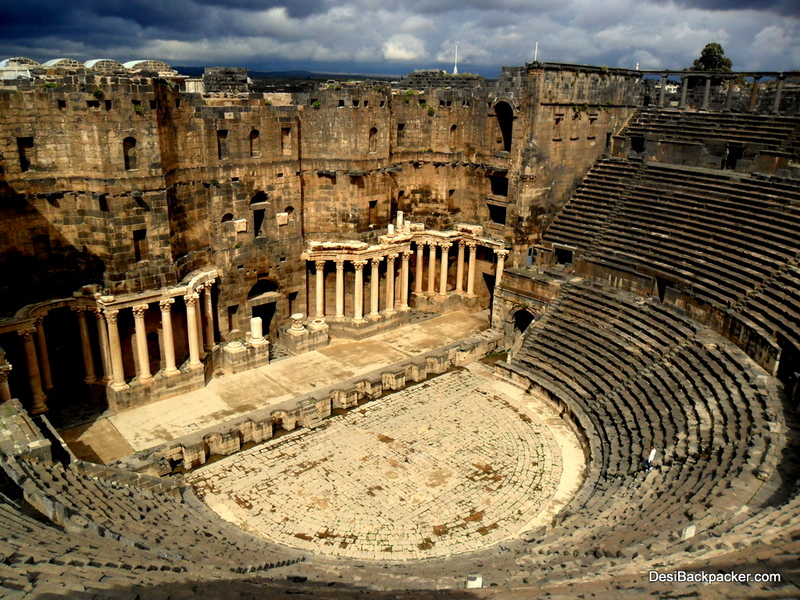 The Romans erected these Amphitheaters all over their empire. Many survive, including the most famous one (the Colosseum in Rome), but few are more than ruins. 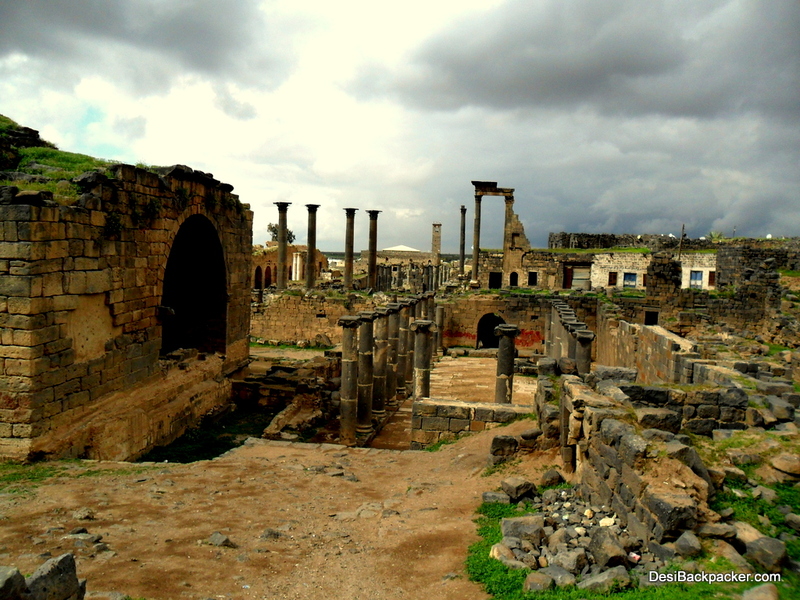 The one in Bosra is one of the most well preserved Roman amphitheaters in the world, and was the primary reason for my visit. I was not disappointed. The theater was huge, with a capacity of 6-9000 people! 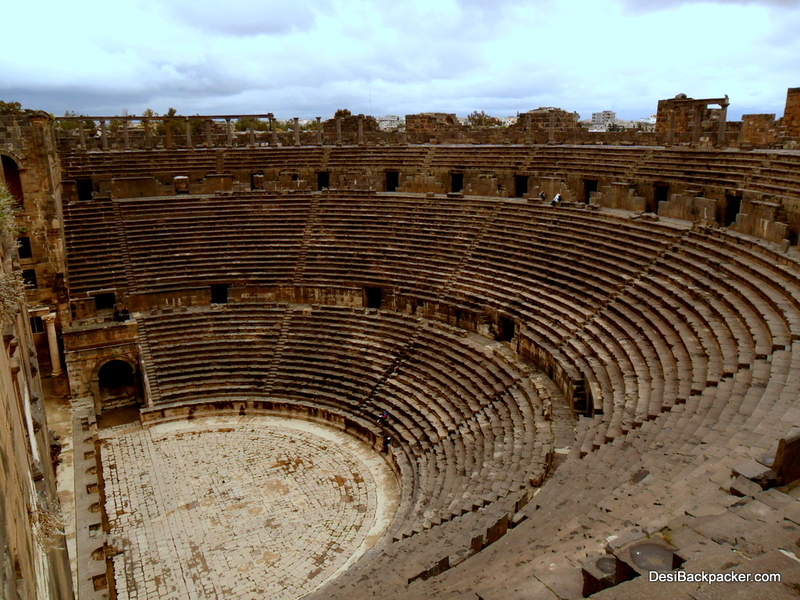 It’s the kind of place that makes you want to stand in the center of the arena wearing metallic clothing, put on your best Russell Crowe impression and shout – “ARE YOU NOT ENTERTAINED?”. But of course there was no crowd to sit in stunned silence, except a French tour group that arrived and departed within 15 minutes and left the whole place to myself and what seemed to be a Russian couple whose sole occupation was to take pictures of the girl (who was red-haired: I always include irrelevant details) in various poses around the Amphitheater. The rest of the ruins in town were quite remarkable as well. Jet black locally sourced stones were used for its construction and there are still people living in the few houses that remain intact in the ruins. There is some restoration work going on so I suppose they will be evicted soon. But for now, I guess they provide bragging rights to Syrian mothers. I was able to catch the 4 PM bus back to Damascus in the nick of time, and when I got back I met with a couple of Mustafa’s colleagues before heading out to meet Helio, a Spanish guy studying Arabic in Damascus. Later Mustafa and Mustafa joined us at the Rowda, a fabulous and atmospheric old school Arabic coffee shop where locals sat around noisily talking, playing cards or backgammon, smoking nargileh and in general contributing to the genial atmosphere of the place where we ended up spending almost 3 hours just chatting away, drinking strong, sweet tea and smoking grape-flavoured Nargileh. We ended the night with a nightcap at a small bar where an English guy ended up buying me some Arak to congratulate me for India’s Cricket World Cup Victory! There again, as always, people asked me what the hindi word for “cheers” was and were surprised when I told them there isn’t one. Yesterday the barber, after the haircut was done, said “Na’ima” and asked me what barbers in India say when the haircut is done. Huh? They have a word for THAT!? And then of course there’s “Good Night”. I mean, of course we have “shubh ratri” but no one in my nearly three decades of existence has ever said shubh ratri to me. “Turn off the bloody TV and go to bed” sounds more familiar. 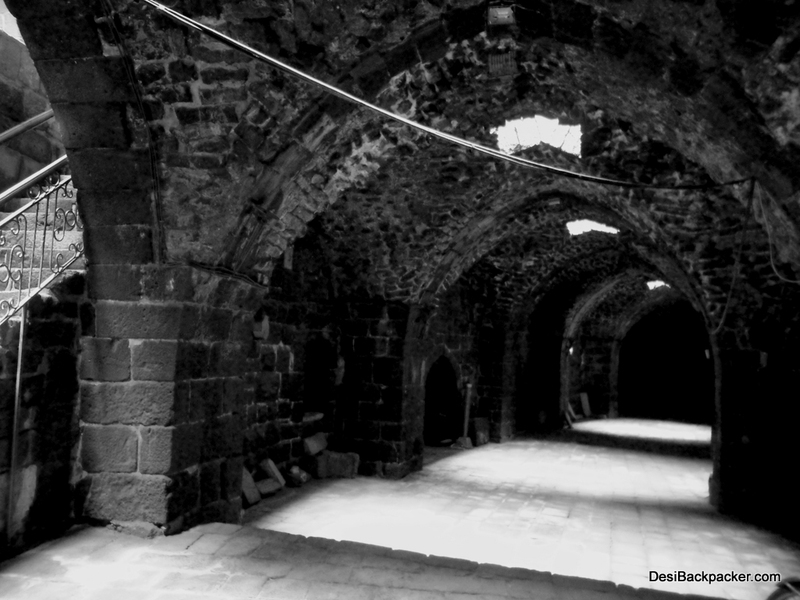 This entry was posted in Syria and tagged Bosra, Damascus, RTW2011, Syria. Bookmark the permalink. Totally enjoying the posts! Just realised that yes we are a bit cheap in the usage of words. I actually skipped Bosra, but man! It looks beautiful! Oh, and I smoke nargileh last night too… orange/honey/mint and mango/mint… yummy! Awesome Pics…enjoying the traveller's blog! Hi Animesh, Just love your blog. Even I am crazy of old and medieval cities like you and its my dream to visit such places around the world. I feel so jealous of you.